The number of directors and senior managers prosecuted for health and safety failings has rocketed in the past five years, according to unofficial figures released to the Health and Safety Executive (HSE). 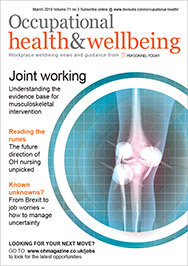 The report in Safety & Health Practitioner, the magazine of the Institution of Occupational Safety and Health, argues that there has been a 400% rise in prosecutions under s.37 of the Health and Safety at Work Act 1974. The figures were released to the HSE in response to a Freedom of Information request, which was submitted by solicitor Lee Hughes in October 2011.